The media is promoting violence against senior Trump advisor Stephen Miller following his interviews last Sunday in which he talked about vote fraud influencing the presidential election. 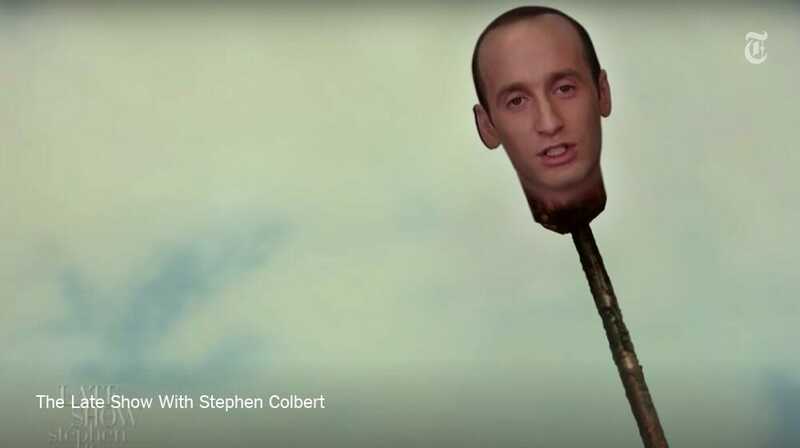 CBS Television show The Late Show with Stephen Colbert featured a segment that showed Miller about to have his head bashed in with a baseball bat, as a mental patient about to be given electro-shock therapy and with his severed head on a pike. Link to the Times article. Should CBS and the New York Times have their White House press passes revoked for inciting violence against senior Trump administration officials?